Greece, or Elláda as it is known locally, is one of the most historically rich countries in Europe. Today, it is a modern European country inside the European Union, with a population estimated at just over 11 million. The capital city of Athens houses a third of Greece’s population. About 78 percent of the estimated population lives within urban zones. Around 93 percent of the population is Greek. Minority groups include Turks, Albanians, Bulgarians, Armenians, and others. Religion-wise, 98 percent identify as Greek Orthodox, 1.3 percent as Muslim, and 0.7 percent follow other religions such as Judaism and Roman Catholicism. Since rejecting the monarchy in 1974, Greece has followed a unitary parliamentary constitutional republic system of governance. Since 2009, the country has been experiencing a significant economic crisis with an unemployment rate that hovers around 24 percent. 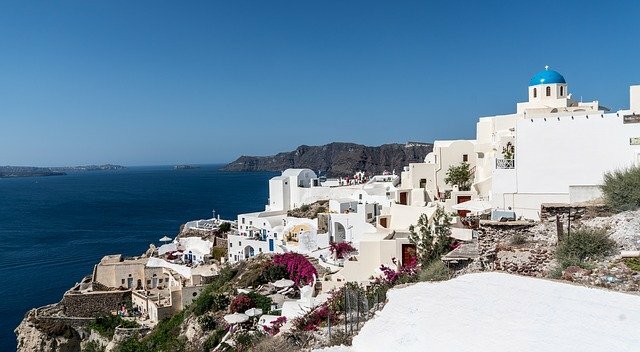 Eighty percent of Greece actually consists of mountains or hills. There are about 6,000 islands in Greece, more than 200 of which are currently inhabited. The climate is primarily Mediterranean, with mild winters and hot summers. Some regions, including Central Macedonia, have a temperate climate with colder winters and hot summers, with frequent thunderstorms. 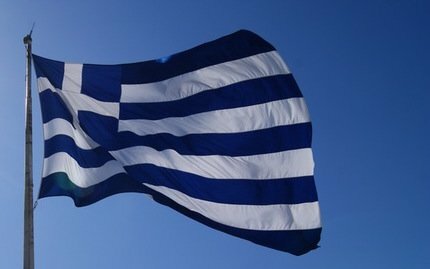 The official language is Greek, which is spoken by the vast majority of the population. Other languages include Albanian, spoken by the largest immigrant group in the country, Turkish, which is one of the most widely recognised minority languages, Bulgarian, and Russian. Minority languages have no official status in Greece. The most common foreign languages learnt by Greek people are English, German, French, and Russian. English is widely spoken by the younger population, particularly in affluent areas and tourist destinations. Greeks are inherently proud of their cultural heritage, which dates back thousands of years. The Minoan civilisation which flourished on the island of Crete circa 3650 BC is considered as one of the earliest civilisations of its kind. Greece is held to be the cradle of Western civilisation, the birthplace of democracy, Western philosophy, literature, drama, historiography, and the Olympic Games. It was also a major scientific hub, contributing to mathematics, physics, medicine, linguistics, and various other fields. 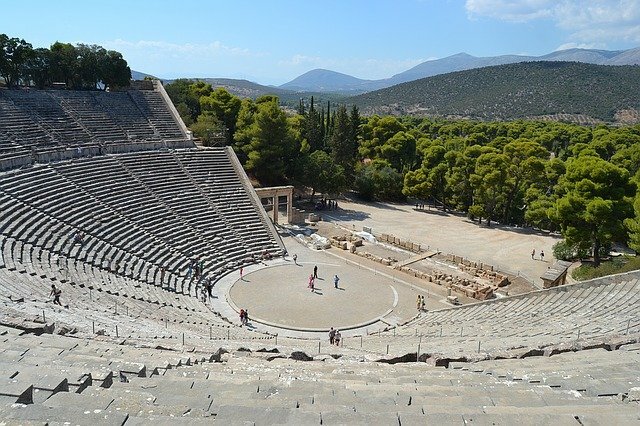 Today, Greek literature and theatre are still strong, though most works are not well known outside the country. Religion is also a very important aspect of Greek culture. It is an integral part of everyday life, even for those who do not closely adhere to religious guidelines. Though Christmas is considered an important holiday, Easter is the biggest and most important holiday in Greece. During that period, many Greeks choose to undergo the Great Lent, or Sarakosti, a 50-day period of religious fasting. The Holy Week is an important period of celebration, which is followed by Easter Sunday, a day of great feasts where spit-roasted lamb and other traditional meals are shared with the extended family. The Church plays a vital role in everyday life and attending weddings, baptisms, and funerals is vitally important, even for people who would not normally attend church, such as the younger people. Family values are of the utmost importance to the Greek people. Aside from being the foundation of society in Greece, family plays a role in most aspects of life. Family members frequently become involved in each other’s’ lives in ways that might be perceived as intrusive by outsiders. Members of the family actively seek to help each other and offer financial and emotional support. Offers for help are generally accepted, though it often happens in a reciprocal manner. Helping relatives find employment or even employing relatives in one’s company is generally accepted, as nepotism is seen as an extension of a family’s help, to a certain degree. Greeks are known for their hospitality and laid-back attitude, two elements which are crucial in order to understand their etiquette and customs. When meeting someone for the first time, it is customary to either allow someone to introduce you or state your name. Shaking hands firmly is the most appropriate greeting during a first meeting. Good friends and people who have known each other for a very long time may also embrace and kiss each other on both cheeks. Shaking someone’s hands while also tapping their shoulder is also quite common amongst male friends. In general, Greeks will often intrude on your personal space or ask questions that might be considered too personal in other cultures. Such actions are not mean as disrespectful. On the contrary, they are simply ways to approach people and create new relationships without a sense of formality. Most Greeks like to make jokes and ask foreigners about their countries and their experiences in Greece. If a Greek person invites you to their home, then you should keep in mind that punctuality is not a huge concern. This is evidenced by the fact that they will almost never set a strict time schedule and instead urge you to “come around 12”. The dress code depends entirely on the occasion. An invitation for a coffee requires entirely casual attire. An invitation to a big dinner means that you should dress well but not formally. It is a good idea to bring sweets from the local bakery or just a bottle of wine as a small gift. Upon arrival, thanking the host for the invitation and complimenting their home will be appreciated. During a meal, table manners are almost universally casual. Expect many discussions to happen around the dinner table because meal times are social occasions for the Greeks. Refusing food is considered impolite. If you absolutely have to refuse for one reason or another, try to explain why and the host will understand. Asking for another serving will delight the hosts, as it is considered a compliment to their cooking skills. However, portions are usually big and there are often several side dishes on the table at any one time. Guests are considered a part of the family as far as meal time is concerned, which means that they can and should eat or at least try whatever is on the table. Offering to help with setting the table or cleaning the dishes will be appreciated, but your help will not be accepted so do not insist too much. Though Greeks maintain a professional attitude during business meetings, it is important to know the cultural points that dictate such affairs. First and foremost, personal relationships are the foundation on which any business dealings are built. Greeks vastly prefer face-to-face meetings rather than communicating over the phone or by email, as this helps to establish a personal connection with a potential business partner. The dress code is European standard. It may take quite some time to develop such relationships. First impressions are of paramount importance. Under no circumstances should you appear dishonest or discourteous. Furthermore, you should never challenge someone’s statements, particularly if their integrity as a person or business professional may be called into question as a result of your comments. Whilst they are getting to know you, Greek businessmen will almost surely invite you to have lunch, dinner, or coffee. All three are important social interactions in Greece so you should always accept these invitations wherever possible. During a business lunch, you should once again expect a lot of discussions, which may not necessarily be focused on business. Alcoholic drinks will often be offered, particularly traditional Greek ones, such as ouzo, or wine. Do not try to push an agenda or steer discussions towards business. Instead, allow them to introduce the topic of their own accord and show an interest in any topics that they might bring up. Respect for hierarchy is crucial and identifying the decision-makers is an important step. During business negotiations and management, being patient will go a long way towards earning the respect of Greek businessmen. Asking personal questions and interrupting a person’s speech are both considered entirely normal, so you should not be offended if either happens. Presenting your material, including business cards, in both Greek and English will be greatly appreciated. Even though most businessmen will be able to communicate in Greek, having a liaison or interpreter is recommended in some cases. Several areas of Greece are hubs of multi-culturalism, owing both to large waves of immigration and a heavy focus on tourism. After Greece’s induction into the European Union in 1981, the country experienced a huge economic boom which came to an abrupt stop in 2008. The economic crisis has strongly affected Greece due to decades of overspending, poor planning, and high levels of corruption. Today, the economic landscape is sub par when compared to the rest of Europe. Several international businesses which had offices in Athens and Thessaloniki, Greece’s second largest city, have moved out of the country due to the crisis. Unemployment rates are very high compared to other European countries and finding a job without being familiar with the Greek language will be a very difficult task for most. Those who already have an offer from a business located in a major city will find that the standard of living is still very high despite the economic difficulties of the region. Cultural and social events still form the basis of social interaction in Greece and hindrances in the economic sector have limited but not severed such elements. In tourist destinations, it is very common for foreigners to be employed on a temporary, seasonal basis in the various restaurants, bars, and cafeterias. Importantly, familiarity with the Greek language is not required in the vast majority of such positions. Tourist destinations attract a considerable number of visitors from countries all over the world and so English and possibly a second language are often the only desired qualifications. Aside from the workplace, learning some Greek will be very beneficial to expats in everyday social interactions. Outside of tourist areas, shops often employ Greek people who may or may not speak English, and so basic communication skills in Greek are usually required for transactions. Furthermore, the Greek people are very appreciative of foreigners who make an effort to learn the Greek language, as they understand it is a particularly difficult one. Becoming familiar with Greek culture will take time and considerable effort, depending on the expat’s country of origin. The relaxed attitude of the Greeks applies to every area of life. Bureaucracy in Greece can be particularly frustrating, especially since most items are written in Greek and workers might not be able to communicate in any other language. If you’re planning to do business in Greece or move to the country we can help. We have a team of expert Greek translators who will help with any business translation needs or any other language translation services. Contact us for more information and quotes.